Infrastructure Partnerships Australia yesterday hosted a Symposium Dinner to consider critical issues affecting industry and network with industry leaders. With a customary joke about rugby performance, Assistant Minister for Infrastructure and Regional Development Jamie Briggs, examined the economic competition between New Zealand and Australia. Since John Key came to power in 2009, the turnaround in the economic performance of New Zealand has been like nothing we've seen, I don't think for very many years, and we are caught behind the ball in this circumstance. I think the latest growth figures in New Zealand in 2014 growth was at 3.5 per cent, that's a full percentage point higher than where Australia's growth is at. In the first quarter of this year, New Zealand's growth is at 3.2 per cent, again higher than our growth. Forecast growth over the next four years is somewhere around 3 per cent, faster than US, UK, Japan, and Australia's forecast. Mr Briggs considered a John Howard expression, saying economic reform is like a never-ending footrace; if you fall behind your competition will sweep on past you. "We never thought it would come from New Zealanders sweeping past us." They've got a plan, they know where they want to go and they have since day one, the direction they want to take New Zealand. And I think that's very important from a government's perspective. You've got to know where you want to go because you'll never win the daily battle in the eyes of the respective our media, or even in the eyes of most people who don't pay a lot of attention to the daily political battle. If you think back during the 11.5 years of the Howard Government, while on a daily basis it wasn't always the most positive news cycle for them, overwhelmingly people knew where John Howard wanted to take Australia, the direction that he and Peter Costello economically wanted to take our country. With an intended legacy as an infrastructure prime minister, Tony Abbott injected $50 billion to the nations industry. The very nature of infrastructure in Australia is changing very quickly. When dealing with six states and two territories, how infrastructure is delivered and looked at is changing rapidly. So we're trying to encourage the use of brownfield infrastructure investment into new greenfield infrastructure. And you're seeing that play out with WestConnex stage one, and WestConnex stage two; you'll see more in Perth with the sale of the Fremantle Port that the West Australian Government's just announced; in Melbourne with the sale of the Melbourne Port, albeit with a few little domestic political issues playing out in Victoria. Governments can't fund the infrastructure needs all on our own anymore. Last year in Australia, we took in revenue related to infrastructure around $19 billion across the country. We spent about $22 billion.We do need to start to have a community wide discussion, and it may be a bilateral discussion as well because I'm sure New Zealand has the same issue with their fuel excise as well, where we start to talk to the community about how it is that we are going to fund infrastructure, make decisions in respect to infrastructure in the future. Mr Briggs announced Australia and New Zealand are very close culturally, economically and that the government plans to continue to work very closely with the New Zealanders. However, he also reported that Australia currently struggles to get a common market within Australia on infrastructure, let alone work internationally. Read more about New Zealand's infrastructure opportunities with PlantMiner. As recognised by Mr Briggs, the NZ economy offers many promising opportunities to plant and equipment hire companies in New Zealand. PlantMiner NZ has rapidly changed the hire industry by allowing Project Managers, Estimators, Site Foreman etc, to utilise the service free of charge to procure hire quotes from multiple equipment hire companies across the nation. 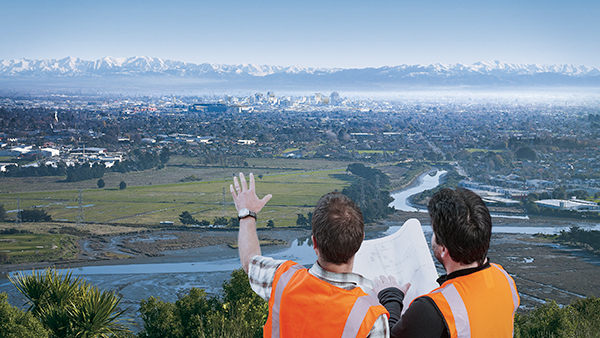 PlantMiner has been responsible for connecting these searchers with hire companies that meet their hire requirements, resulting in considerable work being awarded to plant and equipment hire companies listing on PlantMiner NZ – proof that adapting to the platform is paramount to gaining a competitive advantage. In June 2015, iAwards presented PlantMiner with the Best Start Up of the Year, which now sits proudly alongside Deloitte's Rising Star Award Technology Fast 50 program 2014. Find out how your company can gain a competitive advantage with PlantMiner by registering your interest.